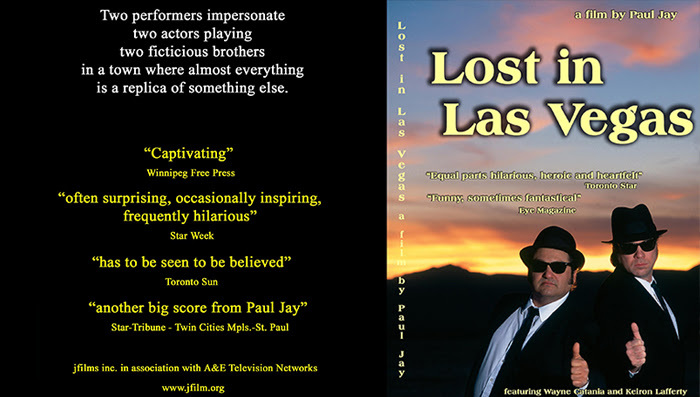 On the day of the Nevada primaries, The Real News offers a special presentation of Lost in Las Vegas, a feature length documentary by Paul Jay. Lost in Las Vegas reveals Las Vegas as a model of neoliberalism, a tale of the shape of things to come. It's all told through the eyes of a Canadian Blues Brothers act deciding whether they want to move their families to Vegas. It's two performers portraying two actors playing two fictitious characters in a town where everything is a replica of something else.